Scanost.exe is not a latest tool but it works effortlessly. This tool can open and view harshly corrupted and damaged OST files. Not even viewing but this utility can repair those damaged and corrupted OST files too. 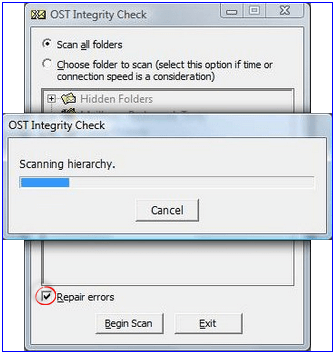 This utility is also known as Integrity check tool because this tool checks the integrity first. Scanost is located at Drive:\Program Files\Microsoft Office\Office version. It does not impact any change in the OST file data. Easily scans and compares entire OST file data available on Exchange server. Easily find any conflict between server and client. It manages harmony between server and client. Find scan log files in the folder of Deleted items of MS Outlook. Does not maintain data integrity. Does not repair or recover damaged OST files. Not capable of repairing minor errors and corruption issues. Not compatible with MS outlook 2010 and latest versions. Scanpst.exe is a latest tool and reliable for OST and PST files both. This tool can open, view and repair harshly corrupted and damaged OST files. This tool is an inbuilt utility which is provided by Microsoft and usable for MS outlook data files. This tool is an inbuilt utility (Scanpst is located inside the Office folder inside the MS Office installation folder) which is provided by Microsoft and usable for MS outlook data files. 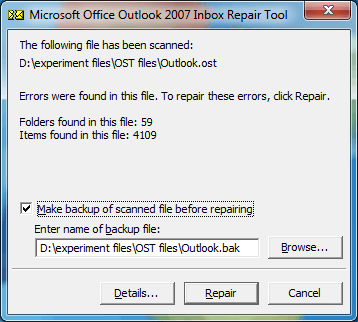 This utility is also known as Outlook Inbox Repair Tool because it can repair OST as well as PST files too. Open and view healthy as well as corrupted OST and PST files. Repair damaged Outlook data files. Free tool to use provided by Microsoft. No compatibility issue and available for all versions of Ms Outlook. Capable to resolve small corruption issues. Cannot repair OST and PST files larger than 2GB. Kernel OST viewer is a free tool to open and view corrupted as well as damaged OST files. This tool effortlessly opens and views damaged OST files. This tool is easy to use because it has user friendly Graphical user interface. This utility can open password protected OST files without the need of Password. You have to select the damaged file only and then this tool itself rest operations and opens those files. User friendly interface helps you to work efficiently. 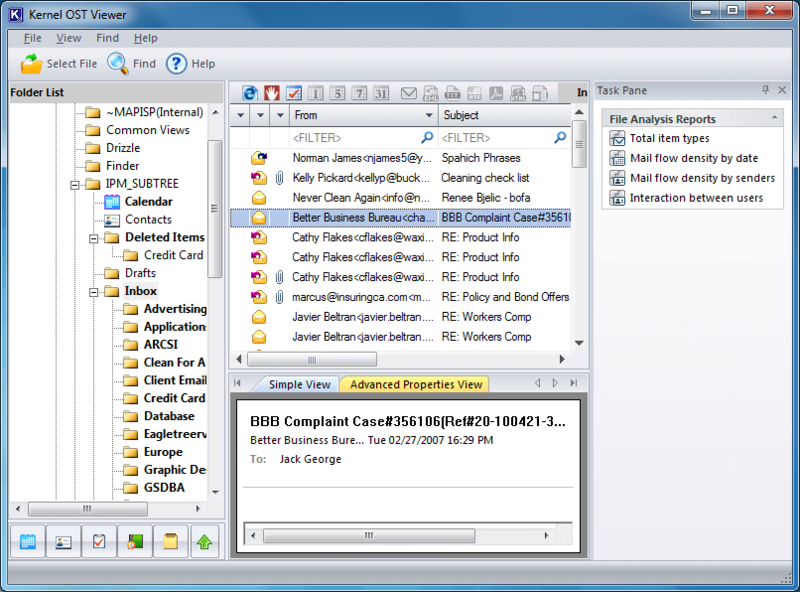 Generate file analysis report to analyze OST file data. Open healthy as well as damaged OST files. Open Password Protected OST files too. Compatible with all versions of MS Outlook, MS exchange and Window OS. How to re-create and recover damaged OST file in Outlook 2013/2016?